Bluegrass fiddler Kenny Baker has died at the age of 85. 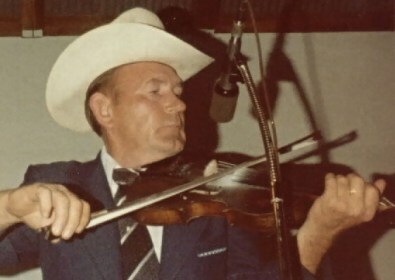 The son of an old-time fiddle player, Baker was born in Burdine, Kentucky. He took up guitar before becoming interested in the fiddle after listening to Western swing fiddler and bandleader Bob Wills and jazz violinist Stéphane Grappelli. After serving in the navy during World War II, he worked as a coal miner in eastern Kentucky while playing Western swing fiddle semi-professionally. Baker made his professional breakthrough playing with country musician Don Gibson, and in 1957 began performing with bluegrass pioneer Bill Monroe in his genre-defining Blue Grass Boys band. Monroe would often introduce Baker as ‘the greatest fiddler in bluegrass’. Baker left the group several times to return to mining, but rejoined in 1968 and stayed until 1984. He then began a long and successful partnership with dobro player Josh Graves. Known for his smooth, tip-to-tip bowing style, Baker was also a prolific composer of fiddle tunes. In 1993 he received a National Heritage Fellowship from the National Endowment for the Arts. via The Strad – Bluegrass fiddler Kenny Baker dies – 13 July 2011. This entry was posted on Tuesday, July 19th, 2011 at 11:14 am	and is filed under Fiddle news and fun. You can follow any responses to this entry through the RSS 2.0 feed. Responses are currently closed, but you can trackback from your own site.